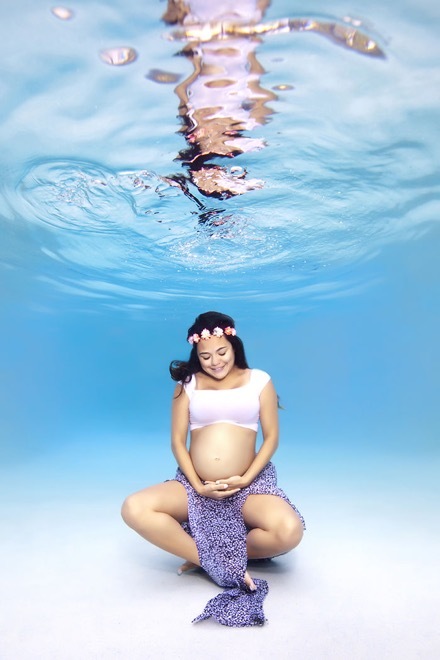 Photographer Shares 'Intimate' Underwater Maternity Shoot...And The Pictures Do The Talking! Adam Opris is clearly an artist with purpose. These pictures will reinstill your faith in love, and the magical aura around it! Adam Opris is a Florida based photographer who specializes in lifestyle and wedding photography. This time around, he decided to create a meaningful series where he shot new moms-to-be. He combined this wonderful subject with his love for the oceans, which resulted in the most beautiful underwater maternity photo series you would have ever witnessed in your life. Opris has created various other albums centering around the beauty of the underwater world. To explore the magical realms of his work, you can check out his website. Everything is so quiet down here. She looks so beautiful with all that glow. He'll always be there for you. She rocked the vintage look! The magical world of water. Did you find your solace yet? The prettiest creature in town! Catching some sun on my way. 9. We found a mermaid! If this isn't love, I don't know what is! She's is the prettiest of them all. The kid is so lucky! Here all your problems shall disappear. Spread across in its beauty. Meet these perfect strangers turned partners. The gift of mother nature. No one can take this moment away from you. This means the world to her. She looks so happy and calm.